Once you set up a drip email campaign, you'll want to keep an eye on your analytics to see how everything is going. Step 1: Click on "Emails" in the top bar of your navigation. Step 2: Use the toggle option to switch your view to "Drip campaigns." 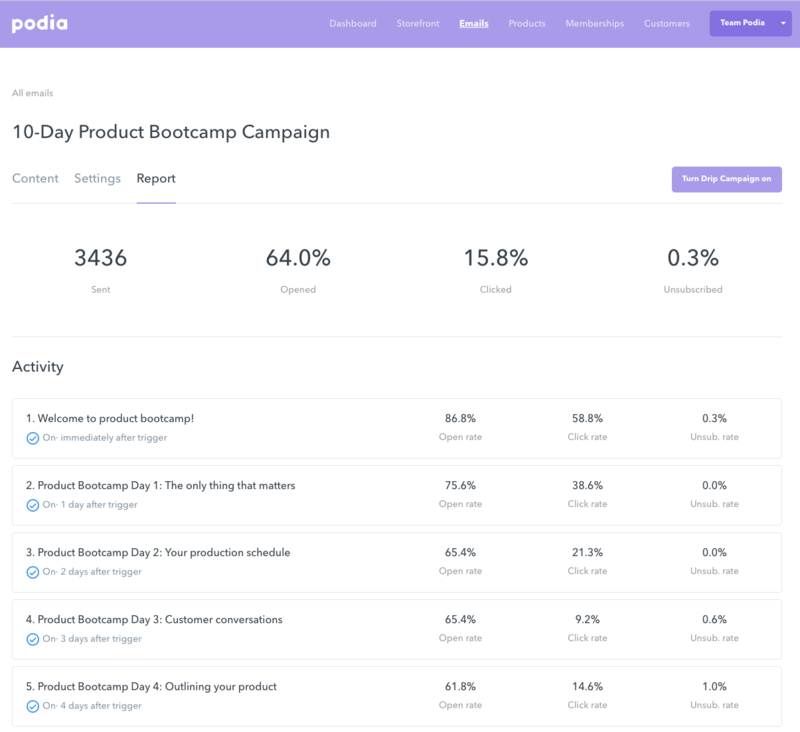 Step 3: Before you view the full report, you can already see a preview of the analytics, like open rate and click rate percentages. 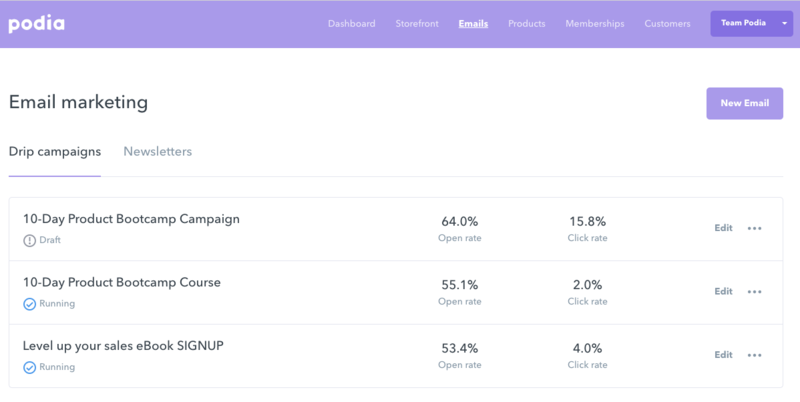 To see more detailed analytics, click the "3 dots" icon on the far right of the drip email campaign. Next, click on "View report." Step 4: See your full drip email campaign analytics report (# of people who received the email, opened, clicked, and # of unsubscribes). At this point, you should be good to go, but if you still have questions, just reach out at [email protected] (or just click the little blue icon at the bottom right of the screen).